Here are some sample articles from past e-newsletters. 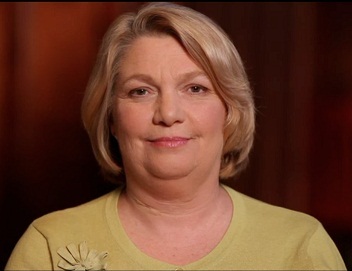 View the short video by Molly Cisco, Former Director of Grassroots Empowerment Project. This group is run for and by people who are consumers of mental health services—to support recovery. Molly explains just what your donations mean for a nonprofit that does advocacy work (which most of our groups do). And remember that giving is easy on the Donate page of our website. CSW-CHIP Merger – and 2012 CHIP Donations Approach $225,000! Your small donations at Willy Street Co-op last year added up to over $220,000 for Community Shares to use in supporting our member groups. Thanks to all who say yes to CHIP! Read a few comments from our Executive Director Crystel Anders on why the Co-op is such a great partner for CSW—and why the recent CSW-CHIP merger was a win-win for the two nonprofits. Jan Froelich, Campaign Coordinator for Johnson Block and Company, offered some comments on why workplace giving works well for them—and how they achieved an increase in gifts last year despite a tight economy. Thank you to all who say yes to CHIP at Willy Street Co-op east and west! 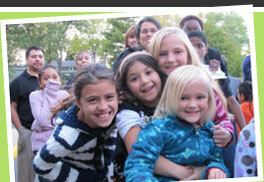 In 2012 your small donations added up to a total of more than $220,000 for Community Shares and our member groups. Thanks too to Willy Street Co-op staff who make the program possible. Take a look at the Annual Event photos. (Though the photos don’t do Matt Dannenberg’s speech finale—a cartwheel—full justice.) Feel free to share any comments about the event. CSW welcomes KW2 as a new workplace giving site. KW2 (Knupp, Watson & Wallman) is an advertising and digital agency in Madison. President and Creative Director Andy Wallman explained why they said yes to a campaign. Last week, a young man who has been working with Chrysalis staff earned a paycheck for the first time in five years. Chrysalis offers individualized employment support services—to help people with mental illnesses find a job, grow, and thrive as contributing members of our community. This young man’s success would not be possible without the support of our community and the funds you have donated through the CHIP program at Willy Street Co-op. Thank you from everyone at Chrysalis. Chrysalis is just one of over 60 nonprofits that benefit each time you say “yes” to CHIP. CSW welcomes new workplace giving sites, and Lark Paulson, Director of Membership Services & Administration at Dane Buy Local, said that when she understood the concept, “I became passionate about the idea.” See more of her quotes about getting involved in workplace giving. Wendy Hathaway and Kate Siemieniewski have been coordinators at Wisconsin Alumni Association’s (WAA’s) campaign for three years now. “We love UW and Madison, so we’re eager to help people give back to the community,” said Wendy. “And because WAA is a nonprofit itself, we know the importance of people getting involved in nonprofits. Filament Games’ CEO Dan White said that giving through Community Shares “was a simple and effective way for our staff to learn about and support the many outstanding nonprofits that work to improve our community.” Our thanks to everyone there! 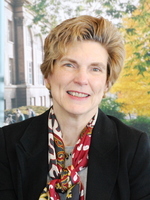 Julie Nicodemus, HR Specialist at Great Lakes Higher Education, has served as campaign coordinator for 10 years. “Our organization believes that education has the power to change lives for the better. The giving campaigns are a way to educate our employees about which nonprofits are out there and how we all can change the world by getting involved. “In this year’s campaign I’m really focused on encouraging pledges. Future donations hinge on pledges more than on our event-generated donations. “We’re a strong supporter of the Community Shares of Wisconsin campaign,” said Janine Veto, Director of Development for the UW Foundation and last year’s Campaign Coordinator there. “Not only are we in a kindred field, but it’s an integral part of who and what we are as an organization. “When I moved here I was struck by how the UW Foundation—and other employers I know of as well—encourage all of us to be individual philanthropists. It very much seems to be part of the community culture. “It was hilarious, everyone loved it,” said Janine. 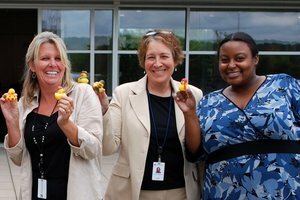 “Most important, an event like this can increase interest and participation in giving—which is our goal!”Janine explained that, in addition to encouraging payroll contribution pledges from coworkers, the Campaign Committee had a hit on their hands with the Chuck-a-Duck event last year. Employees could pay $5 for a rubber duck which they threw off the fourth floor patio, trying to target the ducks into a kiddie swimming pool on the ground below.